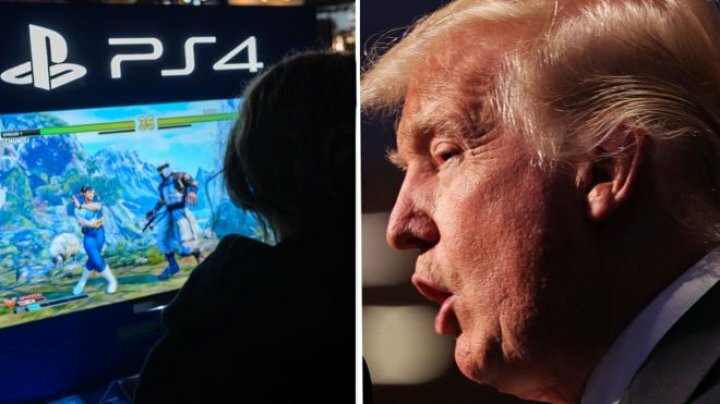 US President Donald Trump is to meet video games company representatives on Thursday to discuss violent content, wrote BBC. The meeting comes in the wake of last month's shooting at a school in Florida in which 17 people died. The president has in the past expressed the view that violent games were "shaping young people's thoughts". But the games industry has defended itself, saying there is no evidence to suggest a link between violent games and real-life violent actions. The Electronic Software Association (ESA), which represents the games industry in the US, said it would be attending. "The upcoming meeting at the White House will provide the opportunity to have a fact-based conversation about video game ratings, our industry’s commitment to parents, and the tools we provide to make informed entertainment choices," it said in a statement. Also at the meeting will be the Entertainment Software Rating Board (ESRB), the organisation responsible for offering age and content guidance for games. Few official details about the meeting have been provided by the White House, but press secretary Sarah Sanders said violence in games was "certainly something that should be looked at and something that we want to have the conversation about". Ms Sanders announced the meeting last week - a complete surprise to gaming industry figures, who at that point had not received any information or invitations. The BBC understands the meeting will begin at 14:00 ET (19:00 GMT). A report from the Washington Post suggested some games developers had also been invited to attend, including Take Two Interactive, the publisher of the controversial Grand Theft Auto series. The company did not return the BBC's request for comment on the meeting. The Post also said key critics of the games industry would be at the table, including Brent Bozell, founder of the Parents Television Council. Mr Bozell has frequently called for a reduction of violence in games. On several occasions, President Trump has pointed to video game violence as being a problem potentially affecting American youths. "Video game violence & glorification must be stopped," he wrote on Twitter in December 2012. The games industry has routinely and robustly defended itself against claims its products provoke real-life violence. “Video games are enjoyed around the world and numerous authorities and reputable scientific studies have found no connection between games and real-life violence," the ESA said in a statement. "Like all Americans, we are deeply concerned about the level of gun violence in the United States. Video games are plainly not the issue: entertainment is distributed and consumed globally, but the US has an exponentially higher level of gun violence than any other nation." In 2011, the US Supreme Court overruled a California law that banned the sale of certain violent games to children without parental supervision. It deemed games to be speech protected by the US constitution's First Amendment. However, in making its ruling, the court did say the issue might warrant closer examination at a later date. The meeting is not the first to take place between the White House and the games industry in the wake of a school shooting. In 2013, following the death of 20 pre-school children and six staff members at Sandy Hook Elementary School in Connecticut, the vice-president at the time, Joe Biden, met games representatives from firms such as Electronic Arts and Epic. Mr Biden said games companies were not being "singled out" and there was no "silver bullet" when it came to solving the issue. He said there was no good data either way to support or disprove claims that games violence provoked real actions.